Use these galleries either as a catalogue or as a source of inspiration for a completely custom diamond necklace or pendant design, then call us or submit an inquiry so that we can get back to you with further information and appointment availability. We are experts in designing and manufacturing all types of diamond jewelry; engagement rings, diamond rings, earrings, pendants, necklaces, bracelets and more! Call us or inquire at any time so that we can create something special for you or your loved one. Submit an inquiry to book your appointment, or call us at (416) 861-8110. We look forward to hearing from you! Necklaces with diamonds throughout the length of the chain. 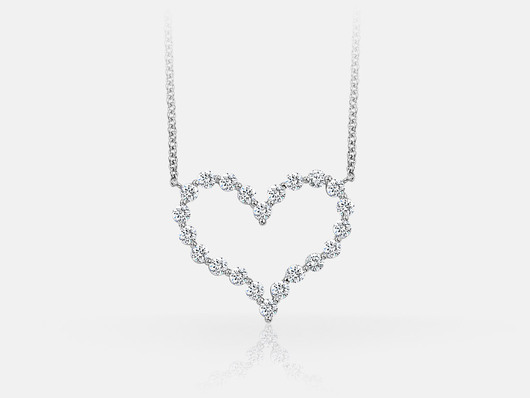 A stunning diamond creation hanging from a thin chain.